Getting work done on your roof isn’t the simplest undertaking. In addition to finding a good time to let workers tromp around on your ceilings, you’ve got to make sure you hire a trustworthy company and minimize possible surprises. One of the best ways to ensure you don’t get stuck holding the bag is to research your roofing contractor before hiring. According to the Oklahoma Construction Industries Board, roofing contractors must possess, at a minimum, liability insurance of no less than $500,000.00 as well as workers’ compensation insurance coverage. They may also prove their exemption from coverage, but failure to obtain coverage without a reason could be penalized. If they are in possession of both of these, and meet all other criteria specified by the Roofing Contractor Registration Act, they will be granted a valid registration. Homeowners should never do business with a roofer that cannot furnish a valid registration number from the state, because this could indicate that they lack appropriate insurance coverage, so be sure to ask for it. Don’t worry about whether or not this is appropriate; you have the right. And keep in mind that although the Oklahoma Construction Industries Board only specifies this minimum and doesn’t mandate roofer’s insurance, it is the hallmark of a serious roofing contractor to possess it. Think about it. If roofing insurance is widely available through multiple channels, why would any serious roofing contractor only have handyman insurance? For one reason: Because it is cheaper. Sure, this might reduce costs upfront, but there’s no guarantee it will do so later. You need a roofing contractor whose liability extends to all potential outcomes. Handyman’s insurance does have a minimal liability component and protects against damage to the handyman’s property and tools, but it often doesn’t provide comprehensive protection for your home. It is also nonspecific, providing more general guidelines about project fulfillment and liability than roofer’s insurance, which aims to cover the gamut of possibilities. Unfortunately, while serious companies aim to provide flawless work without incident, no one can predict the future. Equipment could fall off the roof during the job and cause property damage, and accidents or injuries are always a possibility. It’s also possible that while the job might go off smoothly, you may later find leaks causing water damage to your ceiling. Handyman insurance often doesn’t back you up in the case of later problems, so if you don’t want to be the one paying for the repair, you’ll need to find a roofing contractor who covers such eventualities. No matter what type of roof you’re having worked on, good roofers insurance is important. It generally covers new installations as well as work on existing roofs, commercial and residential properties, and open roof coverage. It may go by a variety of names colloquially (roofing insurance, roofers insurance), but if it’s designed specifically for roof contractors, you’ll be covered. 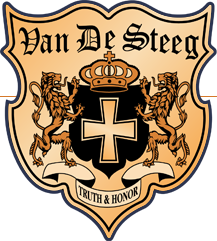 At Van de Steeg, we pride ourselves on never cutting corners and always providing the best possible service. Our roofer’s insurance coverage ensures that no matter what happens, you can expect quality work without worrying about a mess later. 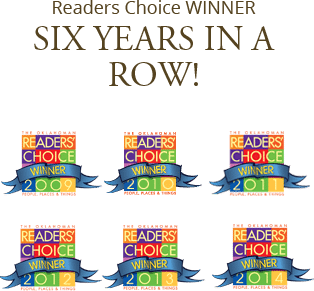 If you’re interested in learning more about our insurance coverage, give us a call.